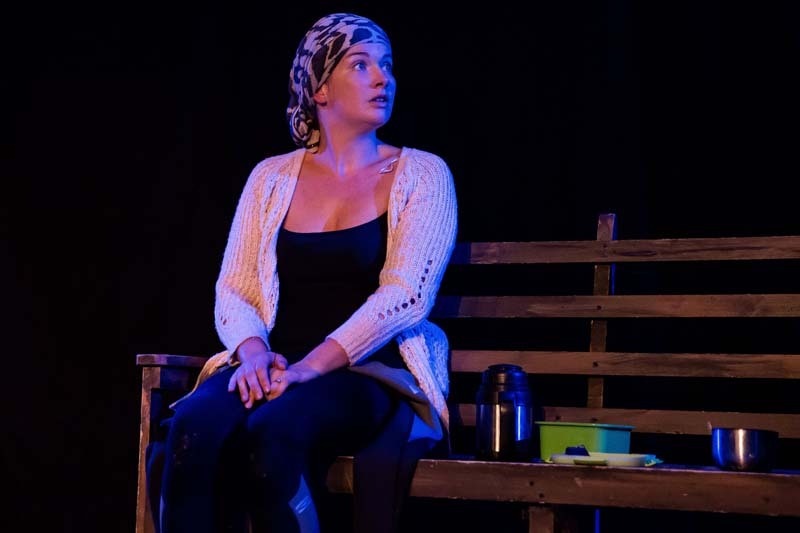 Flotsam, a new play by emerging South Wales based playwriter Claire Erasmus, made its premiere at the Kings Head Theatre. London on Saturday September 8, 2018. An exploration of human mortality examined through the undeniable power of female friendship, the production featured Jennifer Aries of BAFTA award winning Call the Midwife, The Tunnel and Ripper Street and Ciara Pouncett, soon to be seen in High Water. What follows are mini-reviews of the opening performance of Flotsam with photographs by Stephanie Claire. Ciara Pouncett as Ann in Claire Erasmus play, Flotsam at The Kings Head Theatre, London Photograph by Stephanie Claire. 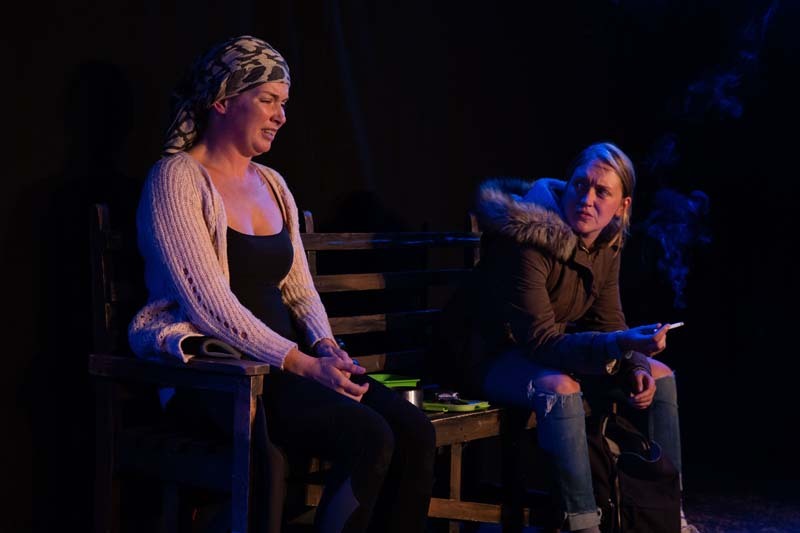 Ciara Pouncett as Ann and Jennifer Aries as Jo in Claire Erasmus play, Flotsam at The Kings Head Theatre, London Photograph by Stephanie Claire. Jennifer Aries as Jo in Claire Erasmus play, Flotsam at The Kings Head Theatre, London Photograph by Stephanie Claire. “The plot takes you on a journey and draws the audience in to the pasts of these two extraordinary women. Unimaginable accounts of abuse are revealed amid hope, courage and survival. Inspiring stuff. The chemistry between the two central characters is tangible and the setting so intimate that you feel you could be sat on the beach with them bearing witness to this extraordinary encounter. I highly recommend seeing this unforgettable play”. Neal Elstone, Your Way Events Management. Sep 16 The Treatment Are Back For Cardiff Show!